This beautiful, modern industrial Loft is 1425 square feet with 3 bedrooms and 2.5 baths. Unit includes a refrigerator, range and washer and dryer. Old Towne lofts offer community sprinklers for lush lawns and mowing for care-free living. Stained concrete floors, 12-foot black ceilings, contemporary lighting offer a unique living experience for college students or anyone wanting a low maintenance lifestyle!This unit is currently vacant, cleaned and ready to move in! The bedrooms upstairs have carpet that have recently been cleaned. Touch up paint has been applied to the walls and bathrooms are spotless!Old Towne Lofts are located near the heart of Norman. 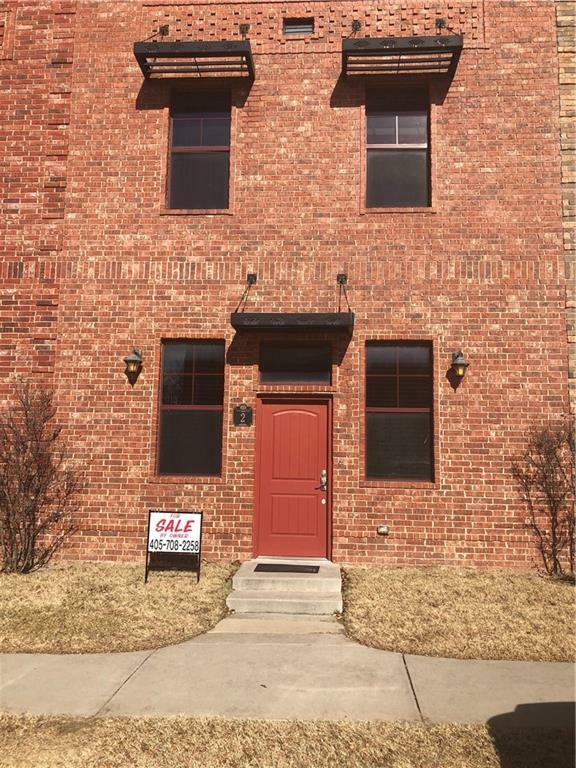 Located between Lindsey and Alameda Ave. and 1.5 miles to the University of Oklahoma and historic Campus Corner. Lofts are located one block off Normans Public Transportation System.